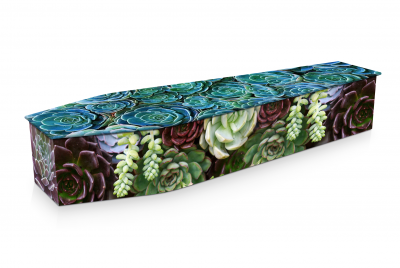 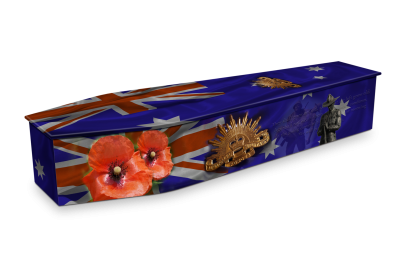 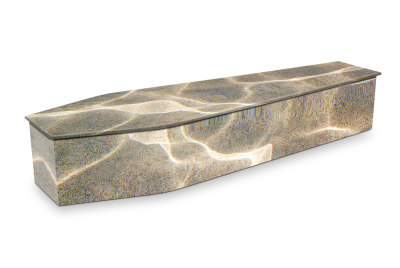 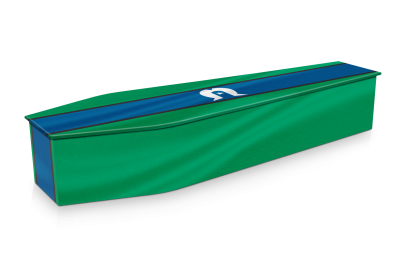 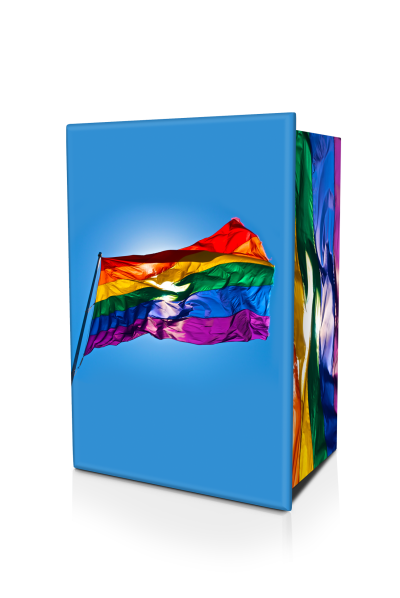 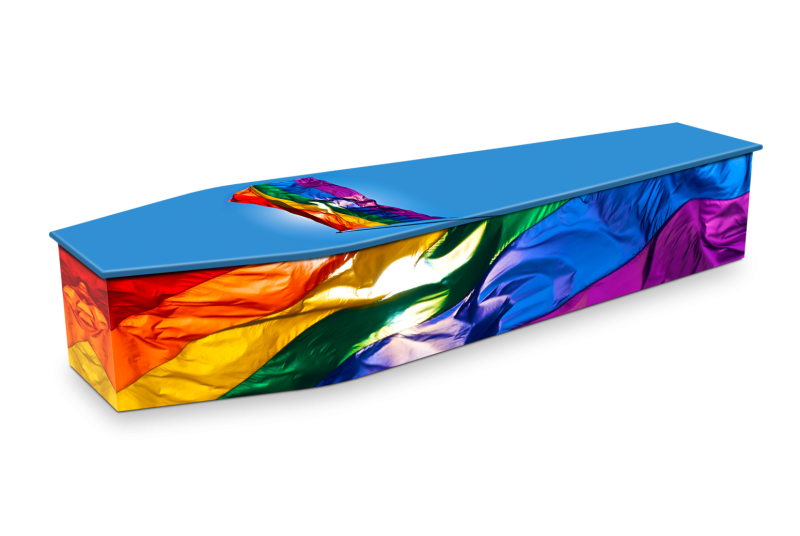 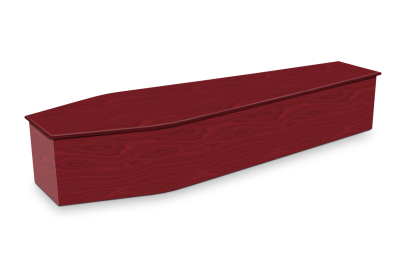 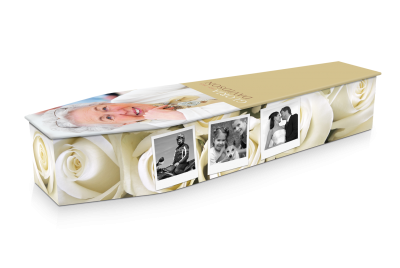 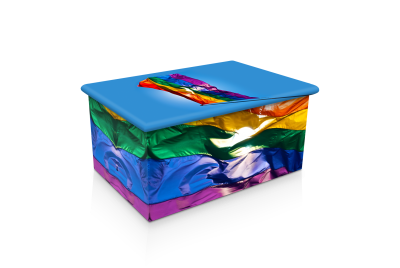 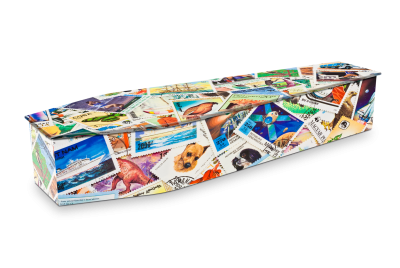 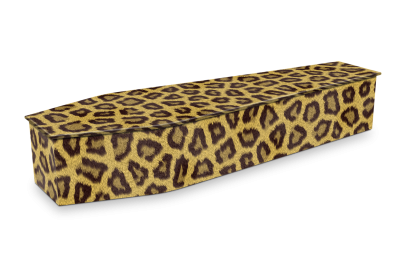 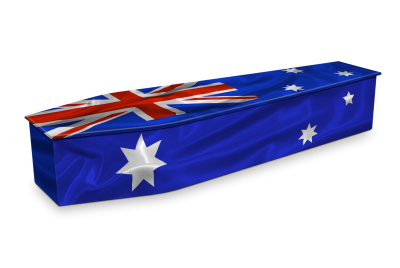 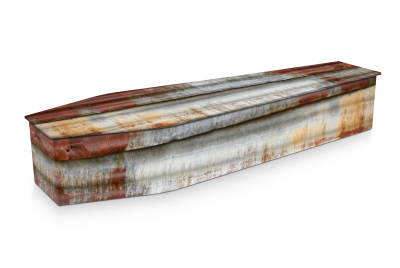 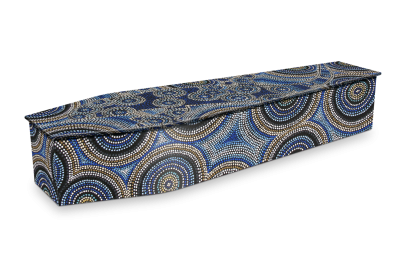 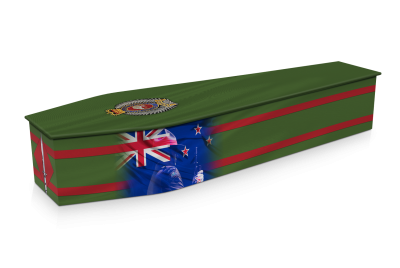 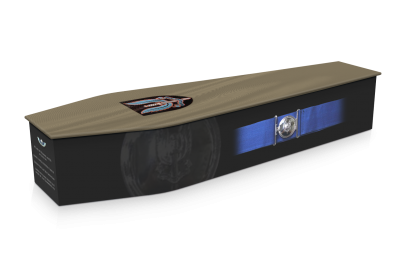 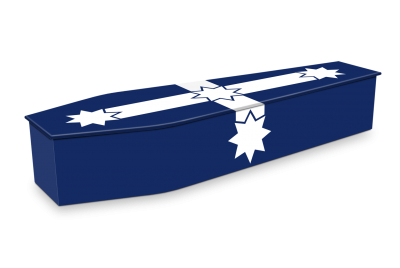 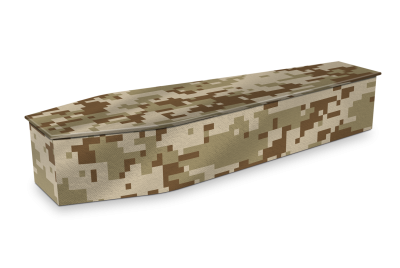 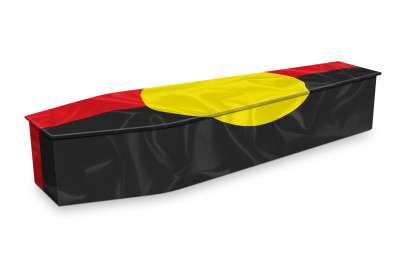 This Expression Coffin features a Rainbow Flag on the lid and along the sides. 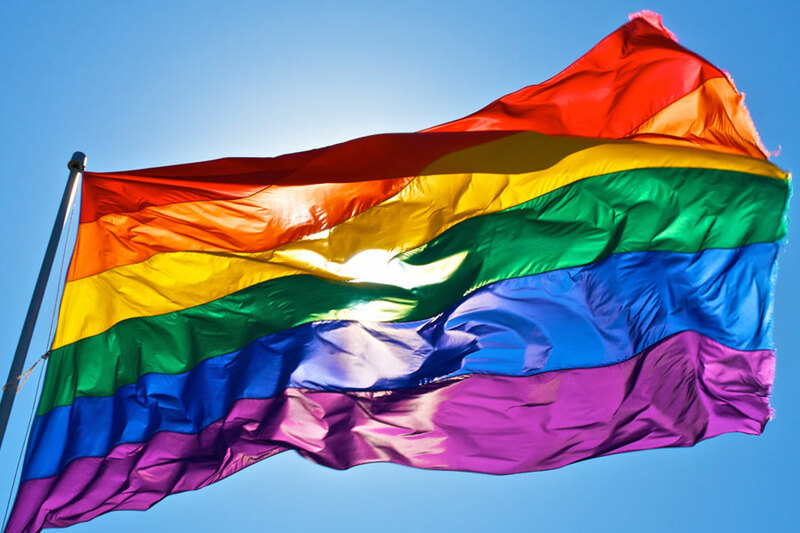 The original Rainbow Flag was designed by San Francisco artist Gilbert Baker in 1978, the design has undergone several revisions to first remove then re-add colours due to widely available fabrics. 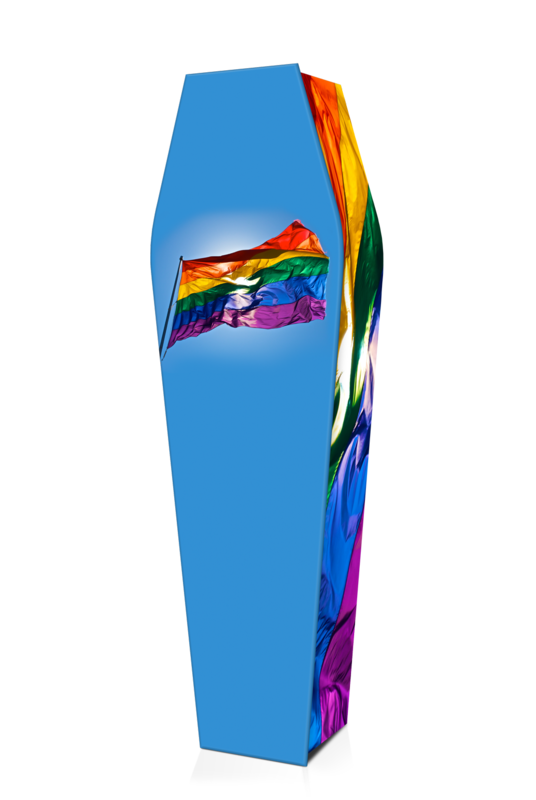 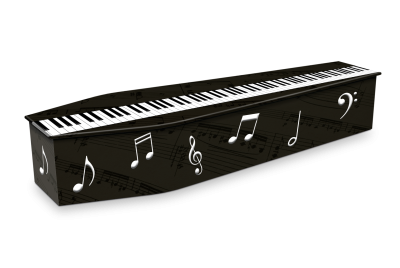 As of 2008, the most common variant consists of six stripes, with the colours red, orange, yellow, green, blue, and violet. The flag is commonly flown horizontally, with the red stripe on top, as it would be in a natural rainbow.